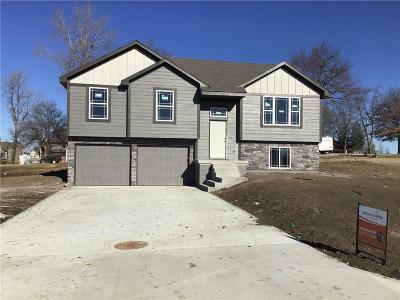 Amazing Front to Back Split in Raymore Peculiar School District and convenient to the NEW Peculiar Way Exit Ramp#168 Tons of kitchen cabinets with granite counter tops hardwood floors in this spacious home. You will want to put this home on your must see list?? Oversized garage 21' X 29'. Also has deck with steps off of porch. Tile on bathroom floors. Another amazing floor plan by True Vision Construction.